Just three years ago, DJ Fresh was a name added to festival rosters as an afterthought. Fantastic though his sets have remained, drum and bass fell from commercial favour some time ago as dubstep commandeered the best slots, or the best chart positions. But rather than give up and die while not trying, DJ Fresh hit paydirt in 2010 and 2011 with his first decent-sized hits. These weren't just any old hits - these were DJ Fresh hits. 'Gold Dust' gave its parent album 'Kryptonite' respectable sales upon release, but it's album number three that promises to deliver. 'Nextlevelism' is due out on 1st October, yet has already spawned three straight Top 10 smashes, including the two #1s, 'Louder' and 'Hot Right Now', the latter featuring Rita Ora. Dizzee Rascal adorned his most recent single, 'The Power', with upcoming RaVaughn gracing forthcoming track, 'The Feeling', surely another monster club anthem in the making. As far as live appearances and DJ sets go, these days DJ Fresh probably trebles his total work rate he achieved as one half of drum n bass duo Bad Company, something which appears to be continuing unabated - he's just announced another UK tour to follow up slots in Ibiza, Mallorca, South West Four and Bingley Music Live, to name just a few. 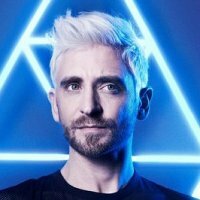 So far, DJ Fresh has confirmed more FRESH/LIVE shows (featuring real musicians, as well as your man's dextrous knob-twiddling) to follow on from previous spring dates. These will include Sheffield, Norwich, Birmingham and many more until Preston on 23rd November. Tickets are on sale from 9am Wednesday 22nd August, priced at £15. There is also a preceding big-name show featuring Fresh, as well as Skream, Chase and Status and Beardyman, plus the support act for his UK tour, Benga. Tickets for that one cost £25 and are selling fast.